It’s time to rejoice Evil Dead fans as Bruce Campbell is returning but for a video game this time. 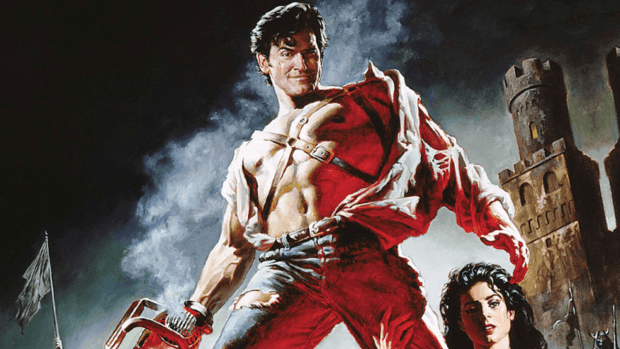 Earlier this year Bruce Campbell decided to retire from “Ash vs. Evil Dead” which marked the end of an amazing journey of the main protagonist but at least now you will be able to play as him in the upcoming game. Bruce Campbell has retired from the movies but he definitely can do some video games because why not. He teased it back in May that he’s going to do voice over or motion capture for a video game as something in the franchise as he has some “previous obligations”. Now that was enough for the fans to confirm that a new video game is in works and now it’s been confirmed. Bruce Campbell is going to play his role as Ash and do voice acting for the character. Now that’s all we know as he didn’t go into further details about the upcoming video game but somehow his comments including “immersive kind of dealio” suggest us that it’s going to be some kind of virtual reality experience. We can’t confirm at the moment exactly what project it’s gonna be so we will have to wait to hear more about it from Ash. A new Evil Dead game is definitely going to make a lot of video game fans happy as it’s been almost 7 years when we saw the last Evil Dead game which happened to be a mobile game. Just imagine that upcoming Evil Dead turns out to be something similar to Evil Within but we playing as Ash and facing some characters from the original movies would be a dream come true.